With its many kinds of sports, the HSG offers students of the university various opportunities to get active in competitive sport teams, complementing the extensive sports offers in the university sports field. Many of the staff members also make use of these opportunities to keep themselves fit and enjoy sports. 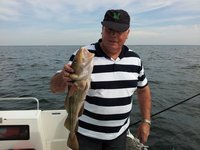 The association is a member of the District Anglers Association of the Hanseatic City of Rostock, registered association, (KAV Rostock) and the State Anglers Association Mecklenburg-Vorpommern, registered association (LAV M-V) as well as of the Association of German Sports Fishermen, registered association (VDSF). 35 members are currently registered at the association. The Hanseatic Racing Organization comprises of about 20 students and staff members of the University of Rostock. It works on designing and building a vehicle for a participation in the Shell Eco Marathon with lowest possible energy consumption. Our aim is to build a vehicle that is designed and manufactured from an efficiency point of view towards reaching a maximum distance when consuming one litre of petrol.